Chinese culture prides itself in its hospitality. One aspect of this hospitality is the press and advertisement for each tour stop which is absolutely overwhelming. Big screen displays and banners are welcoming me at each concert venue. Particularly impressive are the beautifully designed program booklets and take home posters (btw. those are great for autographs). All of these things enrich the performance experience so very much, and it makes me want to play! Take a look at these samples and check back in for more about my China Tour 2015. Love those brochures and posters! 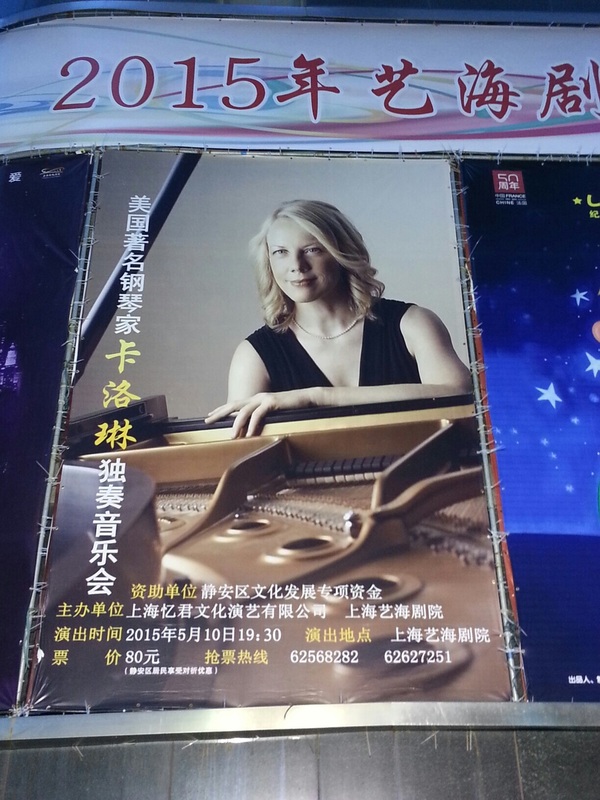 Be sure to subscribe to my YouTube channel for additional updates from my China concert tour!